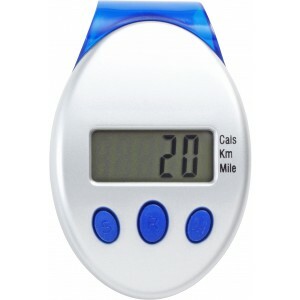 Plastic pedometer with a step counter with km's, miles and calories, includes a belt clip. Batteries included. 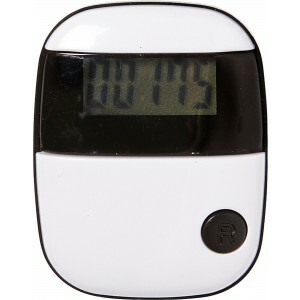 Plastic pedometer with a step counter, includes a belt clip. Batteries included.